Email is perhaps the most useful and popular function of any Linux system. Fortunately, there are numerous email software applications that can be set up on a Linux server. The best among them are stable and ideal for use in both business and personal environments. 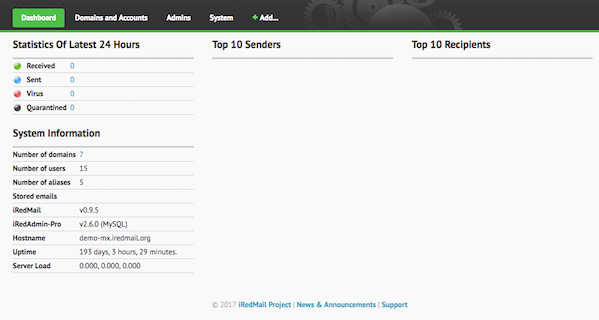 They enable you to receive and send emails, filter spam, run a mail server with ease, and administer your mailing list. Here are some of the best free mailing system software applications that you can set up on a Linux server. Mail-in-a-box is an excellent option. The software itself is free, and you only have to pay for the virtual machine hosting it. The software makes you an email service provider. It has simple setup steps. Setting it up is like making a personalized Gmail and it turns a cloud computer into an effective mail server. What’s more, you don’t have to be a technology guru to set it up. Mail-in-a-Box implements the latest mail protocols and security features. Once enabled, DNSSEC provides high protection level against attacks. This is a free open source mailing system software that provides an easy-to-administer, fast, and secure way to send mail. It is comprehensive and unique in the way it operates. What sets it apart from the other mailing system software applications is its fast performance, secure operation, and easy configuration. This is also an open-source, free mailing system software for Linux. It is efficient, reliable, and simple. It also has numerous features that include VERPs and address groups support. 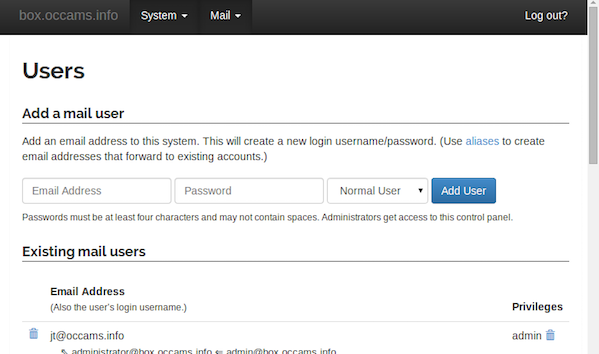 Modoboa is a small platform for hosting and managing email that includes a simplified and modern web user interface. This mailing system software provides important components that include a webmail panel and an administrator panel. It integrates very well with other known software and it uses a SQL database as the central communication point for all components. 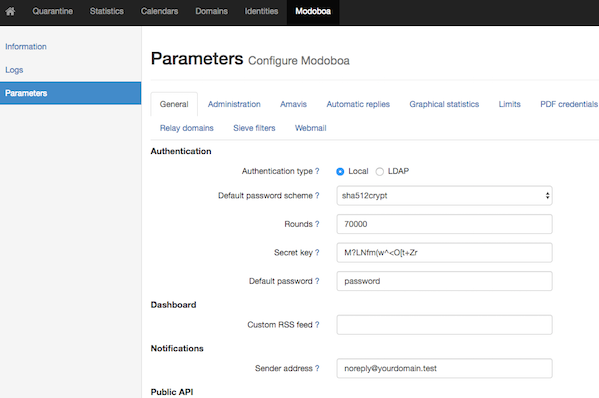 Modoboa uses Bootstrap, jQuery, and Django frameworks and it is written in Python. This is one of the most popular and oldest mailing software applications for a Linux server. However, when compared to other mailing system software applications, it has limitations. Due to its complex configuration, as well as weak security, many people are using other software applications as alternatives to Sendmail. However, it still provides everything that is involved in mailing on a network. This is an easy-to-use and fast terminal-based mailing system for Linux. Its essence is in the pine messaging system. It works well for both power users and beginners because they can learn how to operate it via context-sensitive assistance. Highly customizable. This is fully-featured free mailing system software that you can easily set up on a Linux server. It provides the best way to build a mail server using open source software. iRedMail works with BSD and Linux operating systems. Using this software, you just need minutes to set up a mail server. The software requires the end users to use email services via secure connections. It uses TLS to encrypt emails in transit if possible. It stores passwords in BCRYPT (BSD) or SSHA512. Another very well known fella. It provides better flexibility when it comes to routing mails on a network. It has outstanding facilities and mechanisms for monitoring incoming mails. Among the most notable attributes of Exim are: IMAP protocol and POP support, excellent documentation, and utilities like Lemonade that are an assortment of IMA and SMTP extension, which enhance mobile messaging. There are many mailing system software applications that can be set up on a Linux server. Every mailing system software application uses a unique technology and it has a set features that sets it apart. It is therefore important to do your due diligence before deciding on what system to use, in order to ensure a seamless experience.